Hold onto your sombrero! 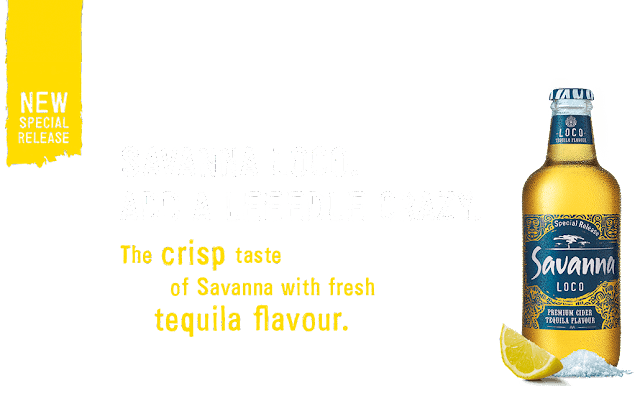 Savanna, the popular premium cider with a taste for the unexpected, has gone loco with the launch of a bold new special release cider, combining the crisp taste of Savanna Dry with fresh tequila flavour. Savanna Loco, the new game changer for Savanna, is the first of its kind in South Africa. By adding a “leeedle crazy” to this special release cider, Savanna has shown it has the apples to do new things. If you don’t take life too seriously and prefer breaking from the norm, you’ll love this latest mash-up brought to you by your favourite cider. Expect a surge of mariachi madness on your tongue when you take your first sip of Savanna Loco. It’s crisp, fresh and well-balanced with an alcohol content of 6%. The “leeedle” twist of tequila flavour adds a distinct freshness and hints of citrus to the crisp apple cider, culminating in a refreshingly smooth, dry taste that leaves you wanting more. Look out for new Savanna Loco with its vibrant turquoise packaging at your local city hang-outs, bars and Mexican restaurants. You can also find it at leading stores retailing at around R74.95 per 6-pack. 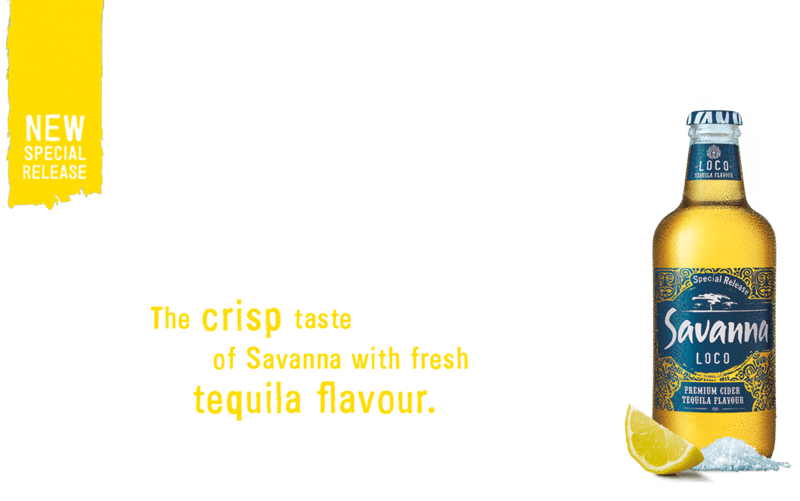 Savanna Loco is best enjoyed ice cold, from the bottle with a juicy wedge of lemon in the neck. And if you have the apples – why not add a pinch of salt to the mix too!